They say Thai food is the next Chinese food. 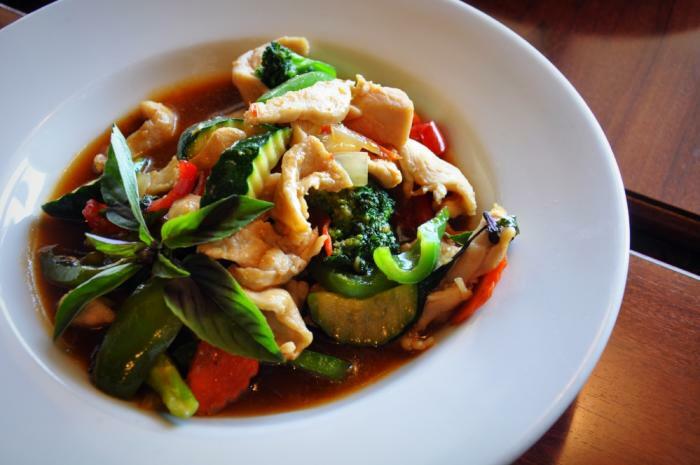 Recently, Thai restaurants have been popping up all over Utah County, bringing the complex flavors and spices of Thailand to the valley. I am personally a huge fan of Thai cuisine. Thai curry was a regular in my home growing up. In college, I got to try the real thing when I traveled to Thailand for Spring Break. So Thai food is near and dear to my heart. That’s why I was excited to try out the new Thai place on the block—Savory Thai. Conveniently situated across from the Orem Target (and next to the Orem Sodalicious), Savory Thai is where the previous Savory and Sweet Crepe place was. Now before any of you weep for the loss of a tasty creperie, Savory Thai kept crepes on the menu and they are delicious! But we’ll get to that later. 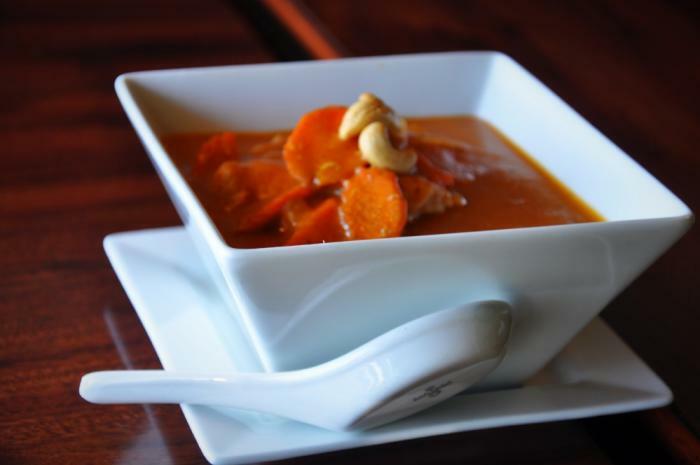 At Savory Thai, they strive to create a pleasant dining experience. This starts the minute you walk into the restaurant. The restaurant is warm and inviting with gentle, easy-going music softly playing. On the west wall is a mural including stupas, a river boat, elephants and, of course, Buddha. 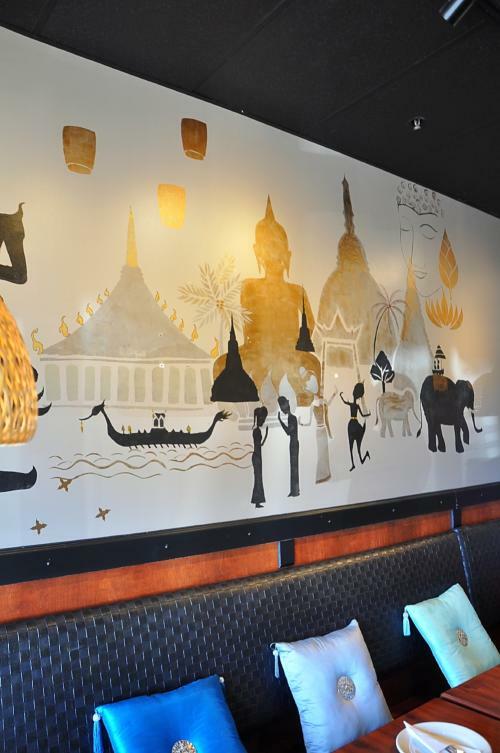 Below this beautiful mural is a bench lined with jewel-colored pillows, giving Savory Thai an upscale ambiance. Then there’s the astounding hospitality of the staff. The old slogan “when you’re here, you’re family” is followed religiously here. Everyone was extremely nice and welcoming, making us feel like we were more friends than diners. They answered our questions well and made great suggestions on what to order. They will do anything to make sure that you have a wonderful experience at Savory Thai. They will customize your meal to your specifications. Want a lot of spice? They can do that. Are you gluten-free? They can specially cook your meal so you are not exposed to any gluten. Savory Thai can do this kind of customization because they cook to order. No frozen pre-made food or MSG, just fresh, delicious ingredients cooked with skill. Savory Thai is definitely an upscale dining experience. Luckily, the food doesn’t have upscale prices. We started with some crispy pot stickers with a sweet chili sauce. Golden and crunchy on the outside with juicy meat inside, they were tasty. We then sampled a few of their main entrees. First was the Pad See-Ew. Most everyone knows about Pad Thai, but Pad See-Ew (noodles with eggs, meat and broccoli) might be your new favorite. Then we had Pad Kaprow or stir-fried chicken with basil and chili. This is one of my favorite Thai dishes. I discovered it in Thailand when I decided I couldn’t handle all the blazing hot curries anymore. This dish is packed full of flavor and doesn’t leave your mouth on fire. Of course, we had to try one of their curries! 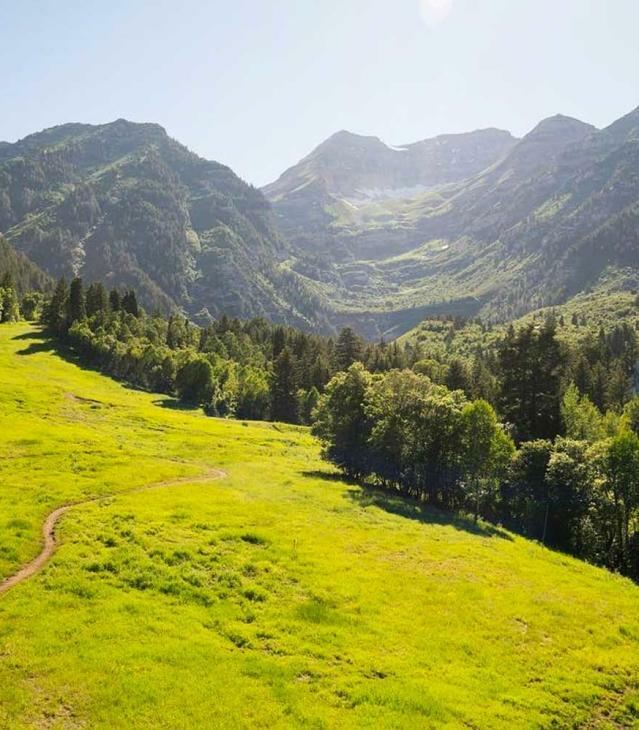 We had the Massaman and, let me tell you, I think it might be the best Massaman I’ve tried in Utah Valley. I feel like sometimes Massaman curry gets overwhelmed with add-ins like potatoes and peanuts. But at Savory Thai, the curry is definitely the star. For dessert, we had to try one of their crepes and it definitely did not disappoint! 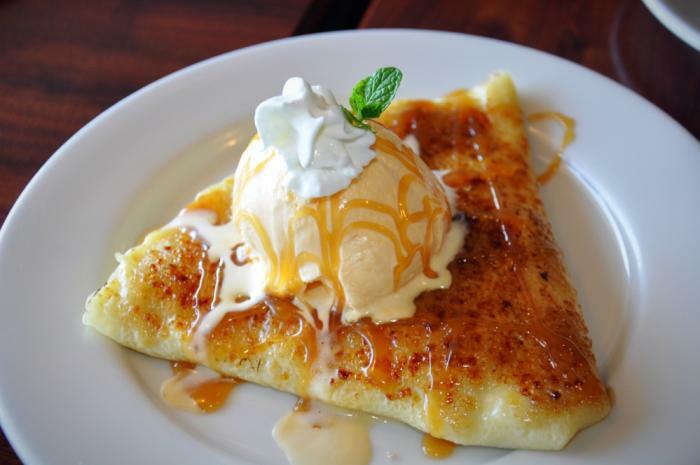 We got the banana foster crepe. With crystallized sugar on top and a big dollop of ice cream, this dessert was seriously decadent! I would recommend splitting a crepe between 2 people unless you’re REALLY hungry. 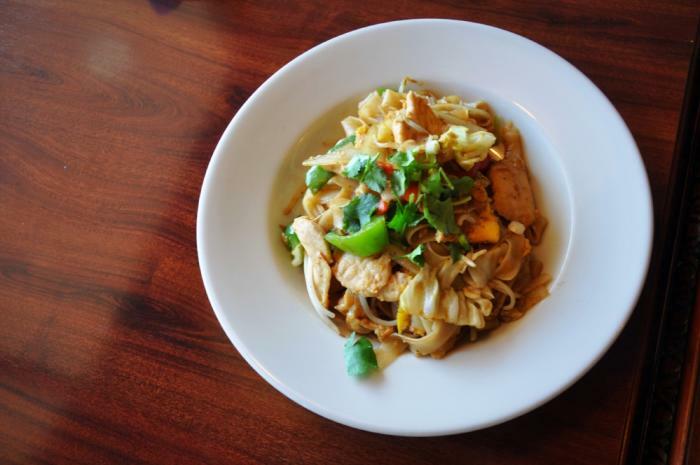 Overall, Savory Thai could have a real chance of becoming your new favorite Thai place. So come over and say sawadee to Savory Thai!